“You got to find your calling in life, that’s the only way you’re going to be happy,” says David Lai, a mentalist, a self-taught magician and a Director at Tess Management- a company which hosts magic shows for corporate and individual clients. Being extremely inspired by David Copperfield, Lai started his journey with magic as a hobby at the age of 5 and continued it till 17 years of age. That’s when he got to taste what it was like to be a “real” magician and did his first paying gig. “Doing a paid gig is totally different from doing magic as a hobby and a really amazing experience,” he says smiling. After finishing high school, he was studying engineering and didn’t find his forte in it. It proved out to be a turning point in David’s life when he had to make a choice whether to be an engineer or to dwell into magic full time. “I actually hated engineering and that time I decided that I was going to make magic my calling,” mentions Lai. It was no easy choice to pick the latter as it was against society’s norm. He did it, and there was never looking back and his belief in his decision pays him off till date. He is surprised to win more entrepreneurship awards than magic awards. He has been honored with the Prestige’s Top 40 under 40 Creative Entrepreneur of the Year and the Merlin Award (The Oscars of Magic), as the best Magic Producer in 2012. David compares magic to medicine as he specializes in Mentalism but he prefers calling himself a magician because, at first, people don’t get the essence of who exactly a mentalist is! His passion gives him respect, happiness, money and everything that a person can ask for to live a healthy and peaceful life. His magic takes adults to drift back and enjoy as children again which drives him towards making his shows an undying experience for his audience. A challenging phase of David’s life was when he used to perform 7 shows a week, 5-6 hours per day. “I realized that as much as I loved performing, I needed something different,” he mentions. Taking it up from shows on street to running magic show at Resorts World Genting with 7 of the World’s best magicians was his step into producing and directing. And with this, the show called Superstars of Magic was born. 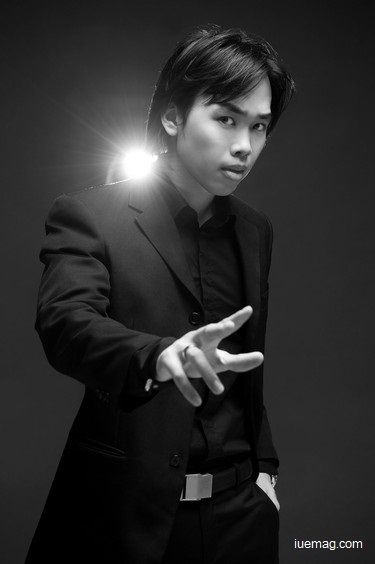 David Lai aimed to bring together the best magicians of the world and combine their skills to be presented on ONE single stage. “Who wouldn’t want to see that kind of a show?” asked Lai laughing. ‘Superstars of Magic’ Season 4 is geared up for from July 10th to October 25th, 2015 and David is coming up with a magic circus at the end of the year. David believes that doing what we love and loving what we do makes life easier to step up the success ladder while being smart and creative to take it to the next level serves a decent living. Not just that, even parents’ blessings and support play an important role. For David, it’s his mother who has been his mentor as well as support. “I have a great group of magicians who work with me. I believe you MUST have a great team to help you achieve greater heights,” adds David, a born magician who never had a mentor. Any facts, figures or references stated here are made by the author & don't reflect the endorsement of iU at all times unless otherwise drafted by official staff at iU. This article was first published here on 19th May 2015.